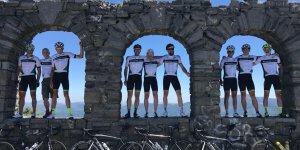 This is one of the most classic trips in cycling world. 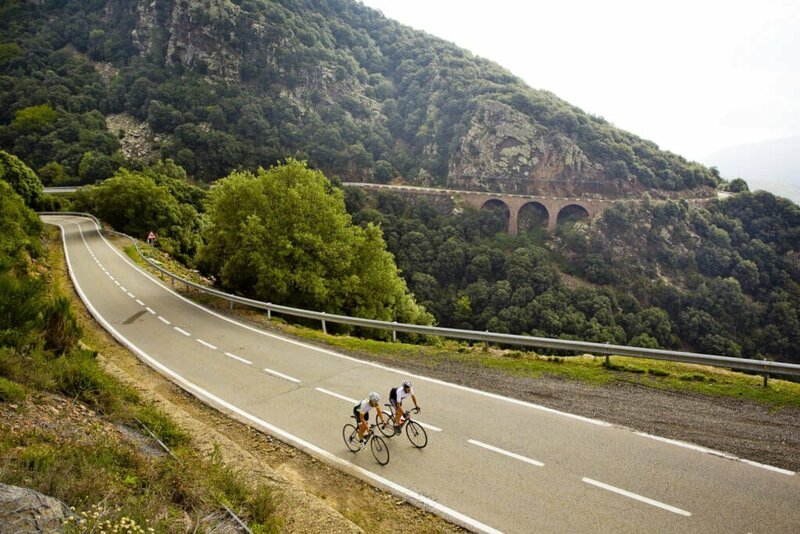 From the Atlantic Ocean to the Mediterranean Sea in 7-8 stages along the main climbs all over the Pyrenees. This is a sample tour, we can fully customize the tour according to your needs. We work with the best hotels in every town. Do not miss this opportunity and join us! An experience you will enjoy just once in your life. 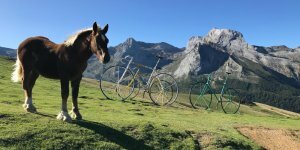 Do not worry about any other thing but cycling. 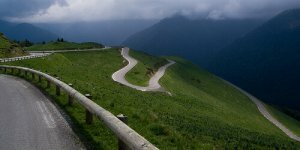 Our van will transport your luggage, and you will have it at the end of every stage. You will like our hotel choice, the best hotels to stop by, to rest and to have dinner. Breakfast, dinner and some quick lunch at the top of some climb, all that is in our side. Barcelona-Vic. 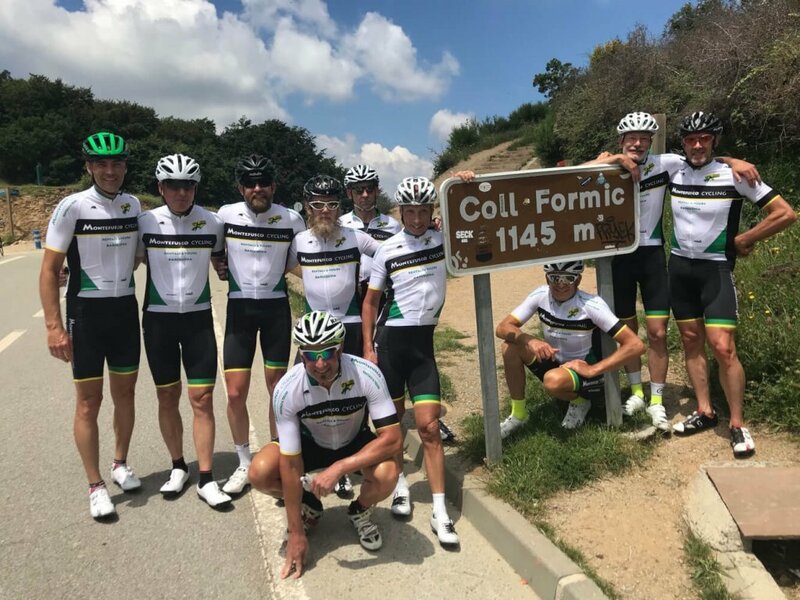 About 100 km to get out of Barcelona taking the bike lane beside river Besos, and afterwards leading to Montseny area, where you will climb the nicest col in the area: Coll Formic. 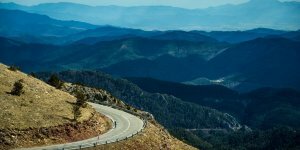 Solitaire road, great views, ideal for cycling. The first big mountain of the trip at 1145 mts. Vic-Puigcerdà. 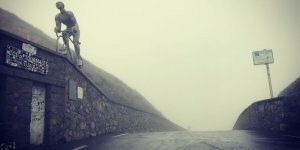 Today you will climb a precious col, not very known, although Volta a Catalunya pro race has been there several times. 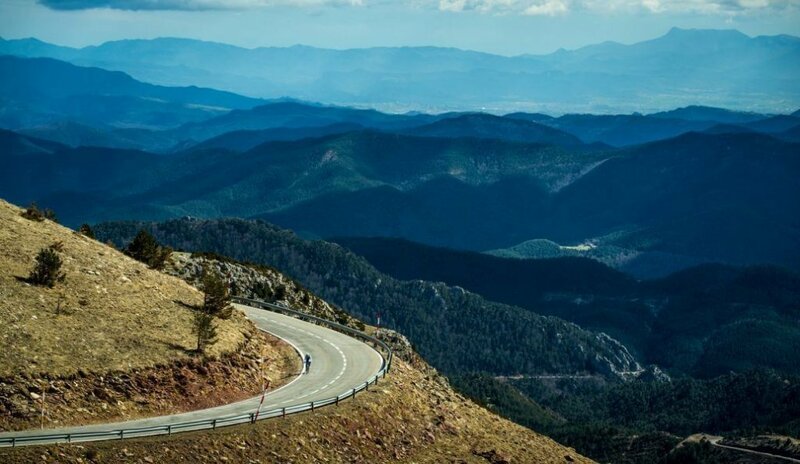 Coll de la Creueta, an espectacular mountain road with great views. Arrival to Puigcerdà, capital of Cerdanya area. We are already in the Pyrenees..
Puigcerdà-Valencia d’Aneu. 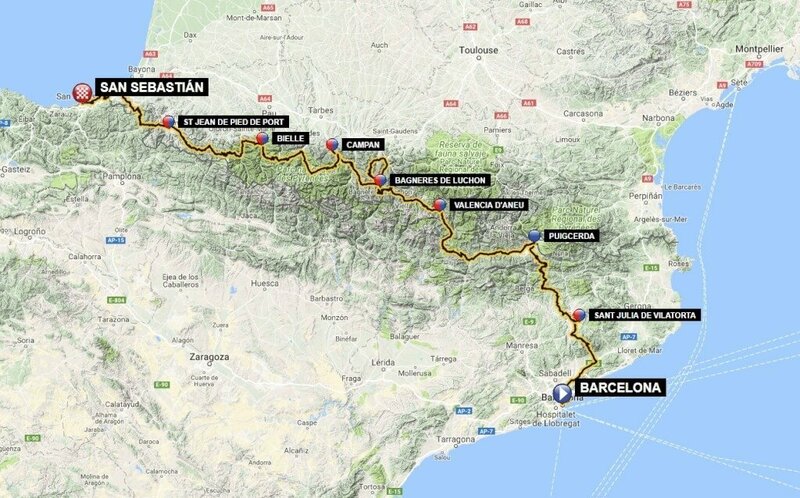 Long stage, about 130 km, including Coll de Cantó, a tough climb, but once at the top, the main difficulties are done. Once in the valley you will cross Sort town (translation: “Luck”). Maybe it is worth stopping to buy some lottery? 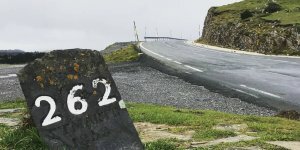 Valencia d’Aneu-Bagneres de Luchon. 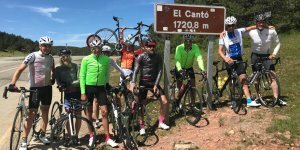 No warm up and already a big climb: Port de la Bonaigua, over 2000 mts, a big one! 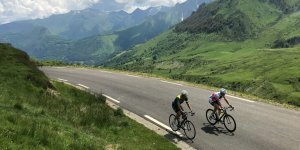 Once in the valley (Vall d’Aran) we will enter France via Col du Portillon, a short but steep climb. 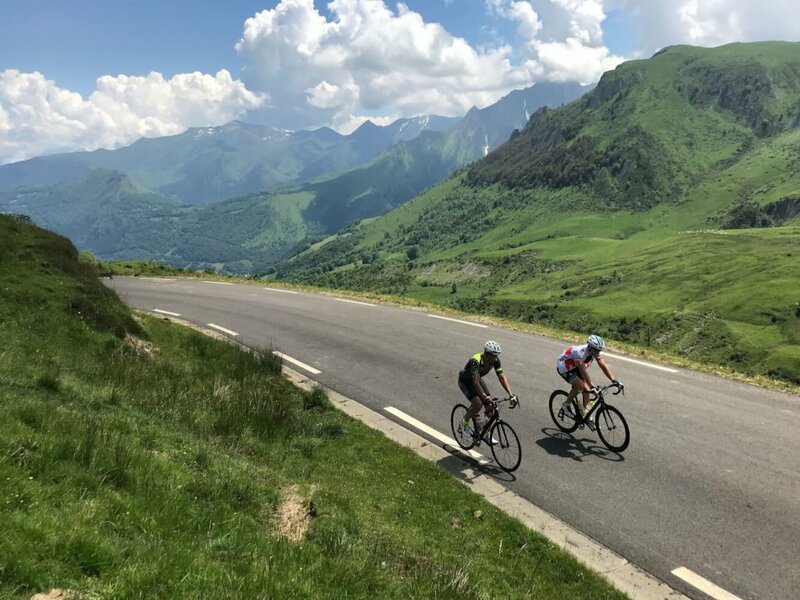 Arruving to Bagneres de Luchon, the strongest will climb to Superbagneres, a nlong and steep climb included several times in Tour de France. Bagneres de Luchon-Campan, 123 km. 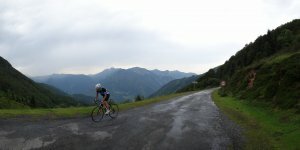 Col de Peyresourde (including the famous crep restaurant at the top!) 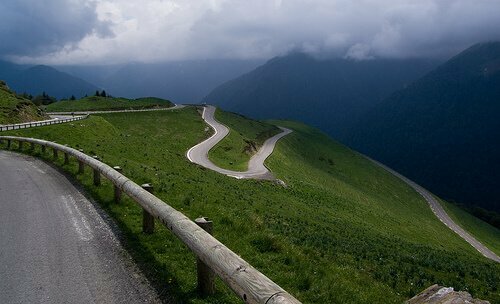 and Col d’Aspin are the difficulties of the trip. 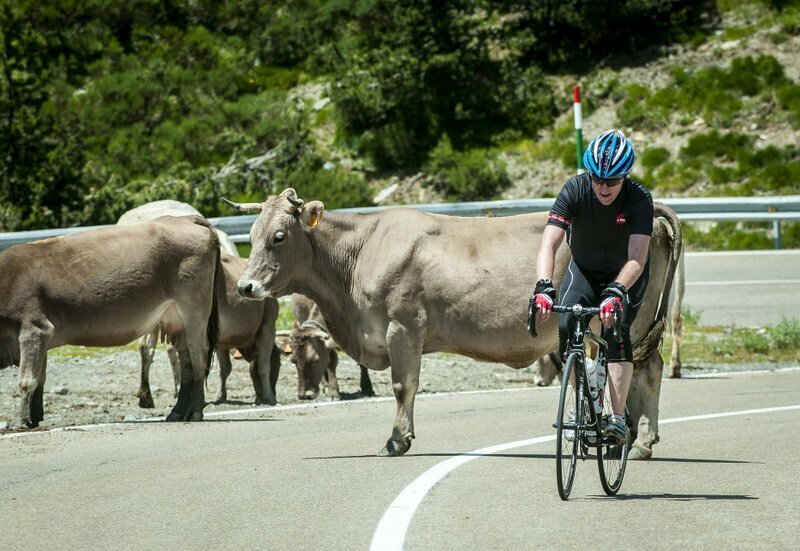 For die hard guys we include Port de Bales at the start of the stage. 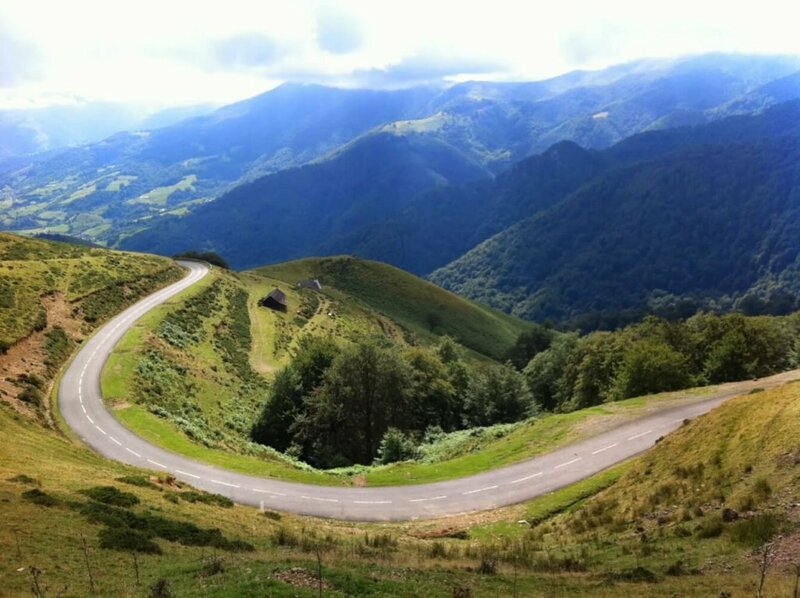 One of the toughest climbs all over the Pyrenees! 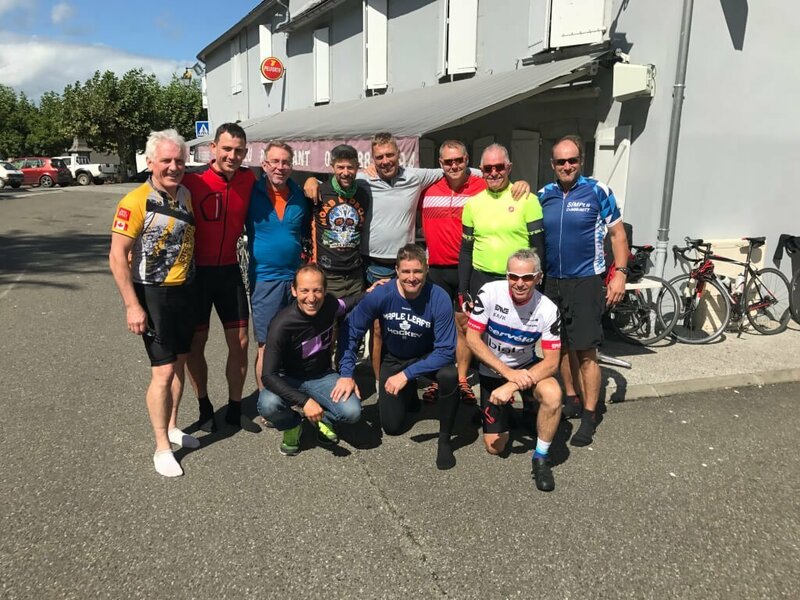 Campan-Tourmalet-Aubisque-Bielle. 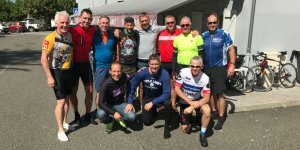 111 km including Col du Tourmalet and Col d’Aubisque. Those are capital letters. This stage is worth the whole trip. 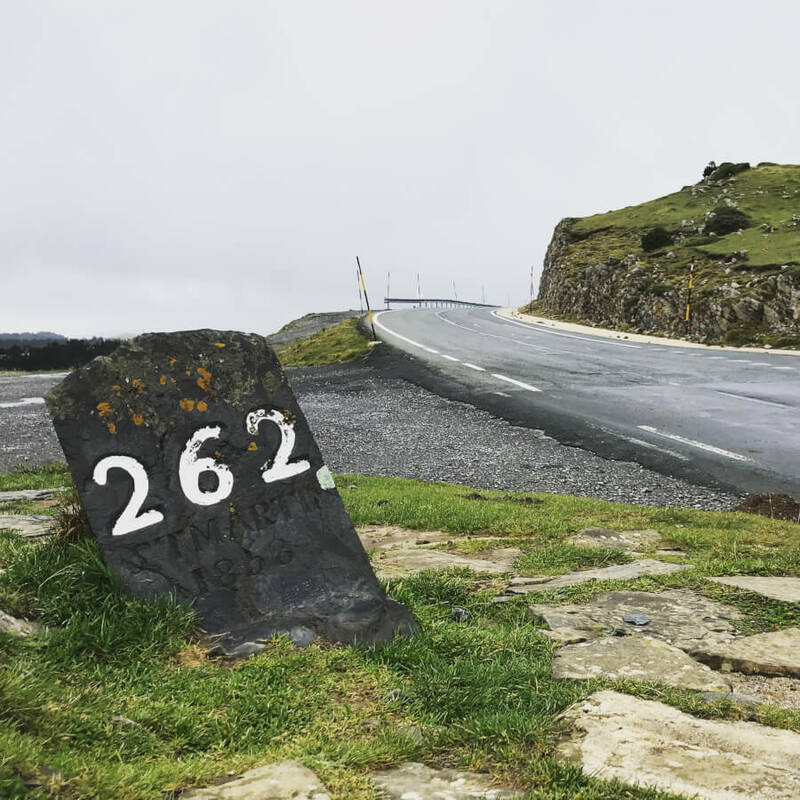 Cycling history has been written on these roads! Bielle-Saint Jean de Pied de Port. The trip is not over! This stage is even harder than yesterday! 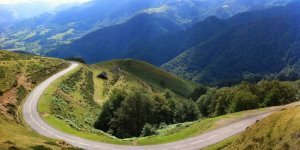 After Col du Marie Blanque (optional), you will have to climb Pierre St Martin (from Arette), and then Chalet d’Iraty and Burdinkurutxeta, to get to St Jean du Pied de Port, end of the stage. Saint Jean de Pied de Port-San Sebastian. 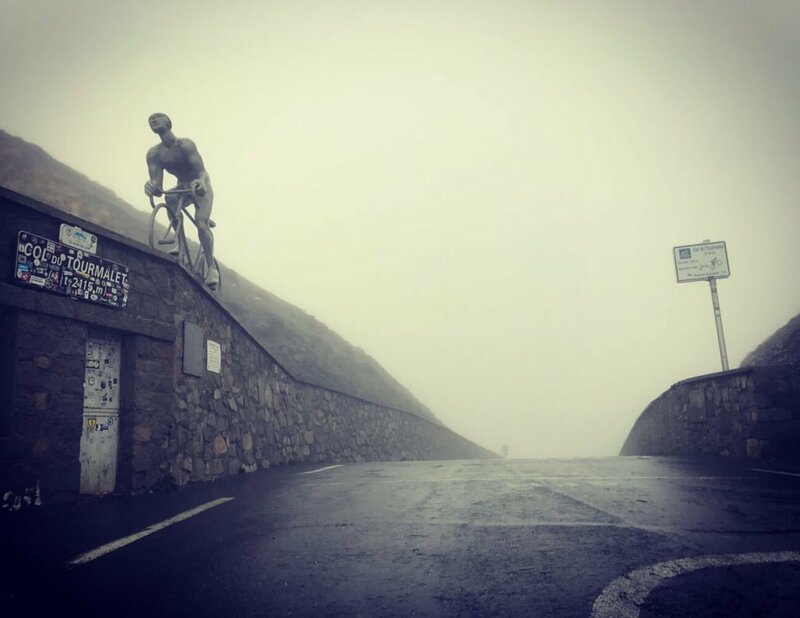 The last stage includes still 3 climbs. 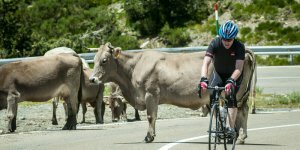 The last one if the famous Jaizkibel, included every year in Clasica San Sebastián in August. 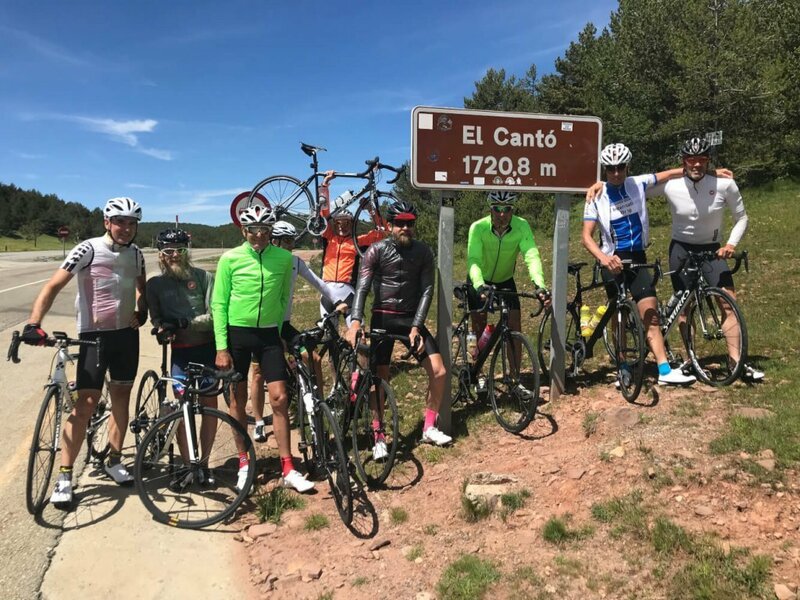 Fantastic views from the top, and then just the final descent to San Sebastián! 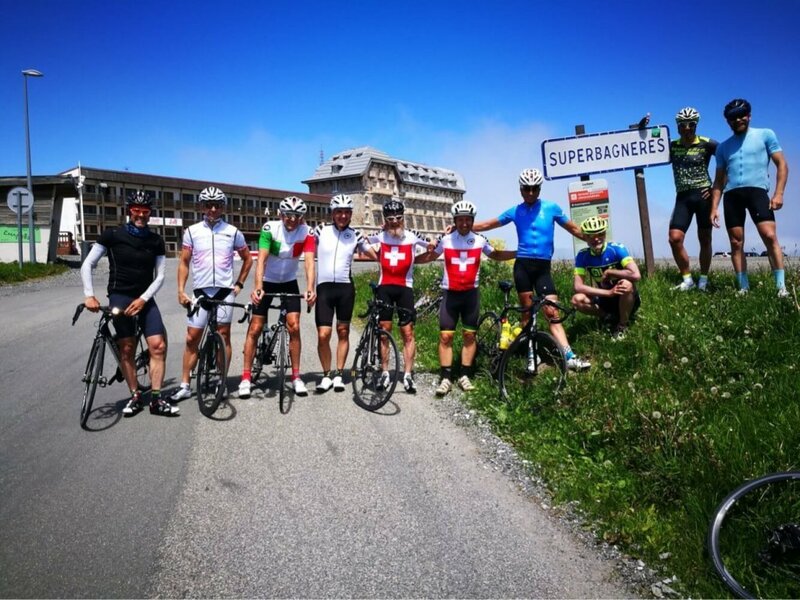 Last July Claudio arranged an amazing 7 day, supported tour for me and 7 members of my Canadian cycling squadra – all avid, competitive cyclists. 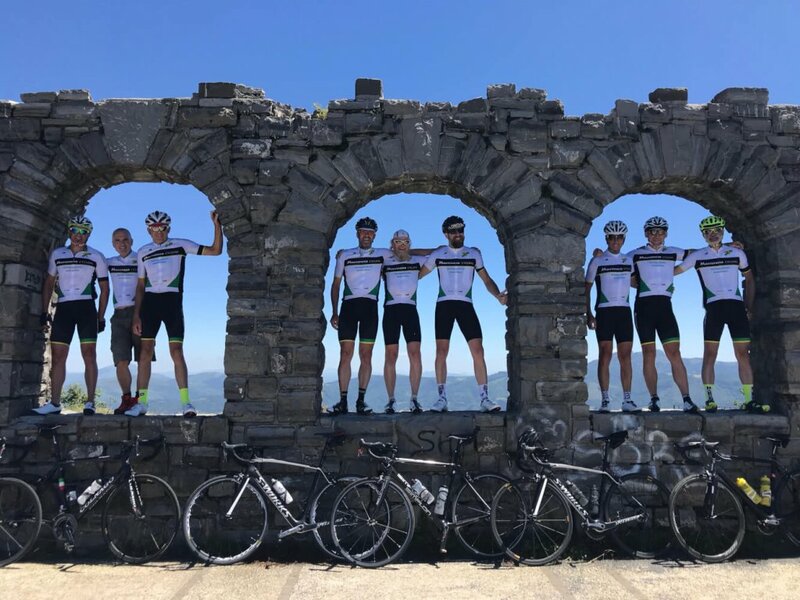 We began in Girona, and did a big loop north into the Pyrenees including a night in France (aix les thermes) and Andorra.- averaging about 110-120 km per day. 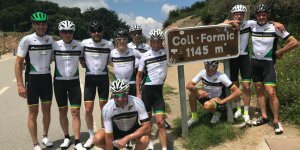 A week later we ended our ride at Mar de Tossa, a beauty seaside resort on the Costa Brava near Girona. Claudio worked out all details of our route, meals, hotels etc. while providing support on the road/moving our baggage from town to town. 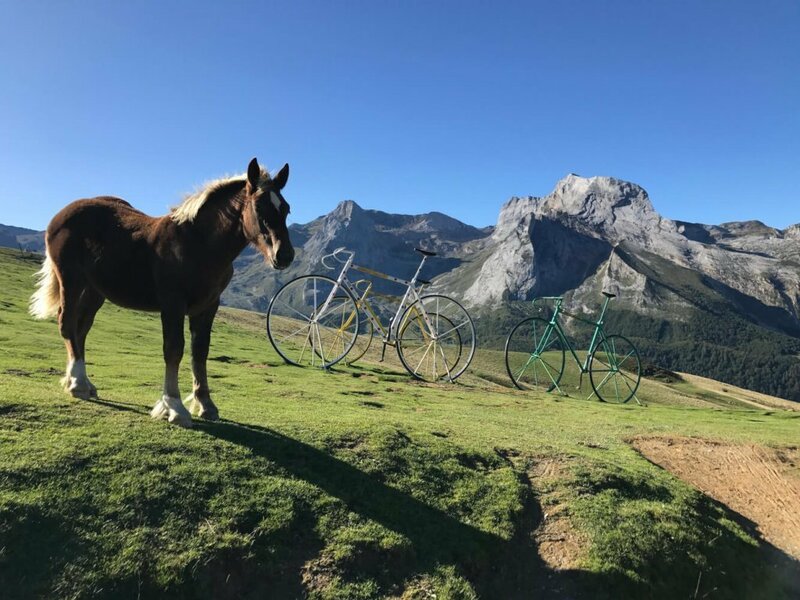 We have previously done several bike tours in pyrenees and alps with other cyclo-tour organizers (including Duck tours, cyclo mondo) but in most respects Claudio was absolutely the best!